Become a mystery-solving detective and find hidden artifacts and lost treasures to build your own mystery museum! Swap around and match artifacts by color to collect objects, decorate house building and halls of the museum and solve mystery quests! 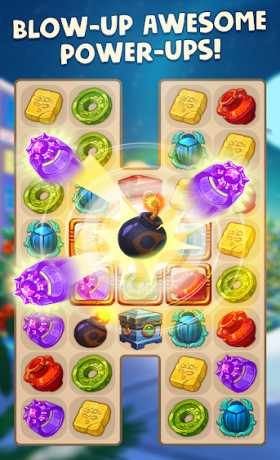 Beat breathtaking match-3 levels and search for hidden treasures of ancient civilizations. Carve your way through a story packed with mystery, romance and adventures! Excited? Mystery museum is waiting for you! Customize the halls of the museum and surrounding garden scapes. Go on a journey to the pyramids of Egypt, travel to Greece and solve the mystery of Poseidon, have a fascinating trip to Japan! You can also open your own Jurassic mansion and build fountains outside the museum to entertain your visitors even more! You ain’t a mystery detective like Lara Croft? Of course you are, jump on in! 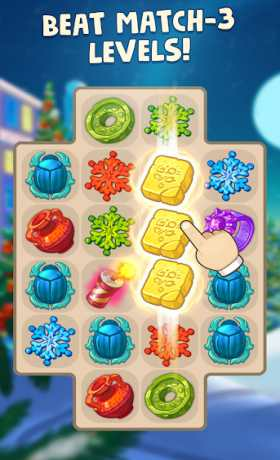 ★ Easy and fascinating gameplay — swap matching mystery items to complete match 3 puzzle game. ★ Creative freedom — choose the museum decor, open new locations and start building a unique museum. ★ Various constructions — build your own Jurassic City, place fountains outside the museum mansion and much more! 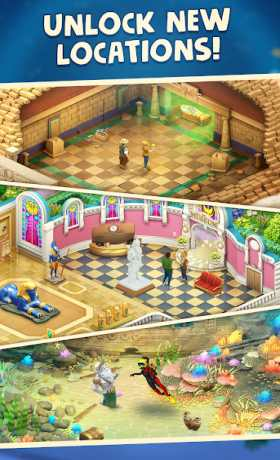 ★ Exciting episode — restore your museum and embark on a thrilling adventure game! ★ Unique game design — colourful game scenes and sparkling match 3 jigsaw puzzle levels won’t leave you unimpressed! ★ Challenging tasks — choice quests to fill your museum with new mystery items and collect lost artifacts. ★ Multiple game locations — crawl through haunted museum halls, develop surrounding territories and go on a search for ancient artifacts of Egypt, Greece and Japan! ★ Lovely in-game heroes to accompany you on your search for hidden artifacts. ★ A Facebook community of mystery detective episodes to share your progress with. ★ Free to play access: just install to start your own museum adventure.